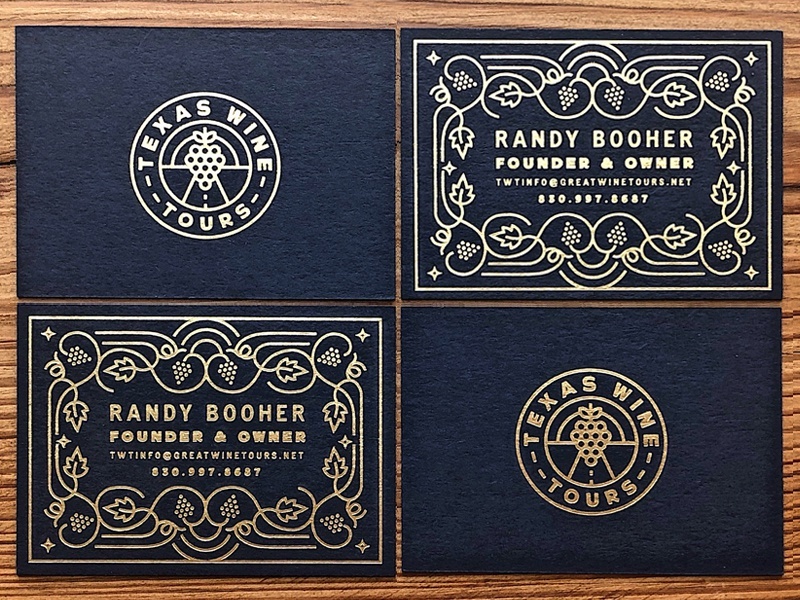 Rebrand & business cards for Texas Wine Tours, one of the oldest OG wine tour companies of Fredericksburg, Tx. Thanks to Koch Printing for the the letterpress and gold foil on midnight blue lettra stock. More to come soon!